HIGHWAY PERMITS has direct contracts with most governing authorities, which gives us the advantage in both turn around time and price. We also offer coast-to-coast service for all of the 48 States as well as select Canadian Provinces. We offer routing information and consulting when you need it. Please feel free to call with any questions or simply send us an email. Prices are based on customers providing us with complete and accurate information at the time the permit application is ordered. Failure to do this may increase the cost of the permit(s) and delay the delivery of permits. Assists-add to state, insurance update, route survey etc. Prices do not include State fees/any additional State charges. State Fees vary, please call for estimated costs. Customers are required to pay by credit card. We accept Visa, MasterCard, American Express, and Discover. PLEASE NOTE: Fees listed above are valid for states where HIGHWAY PERMITS maintains a direct account for the purpose of purchasing permits. 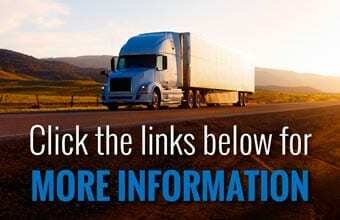 For states where HIGHWAY PERMITS does not have a direct account, orders may be submitted through a third party which may include additional fees. Permits having a state fee over $150 (typically applies to heavy moves or superloads) will be charged an additional $25 & up Superload Fee. Some states also charge weight fees for self propelled equipment or any axle over the state's legal axle limits. PLEASE NOTE: A $20 service fee will be charged for any cancelled state applications once they have been processed and submitted. Any order that has already been processed by the state and cannot be cancelled will be billed at full price to the customer.